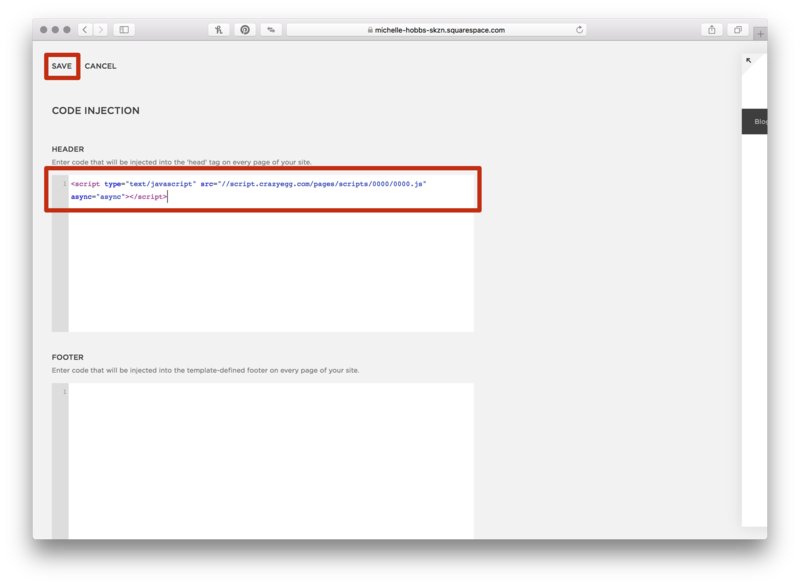 Squarespace makes it unbelievably easy to install the Crazy Egg tracking script using their Code Injection method. 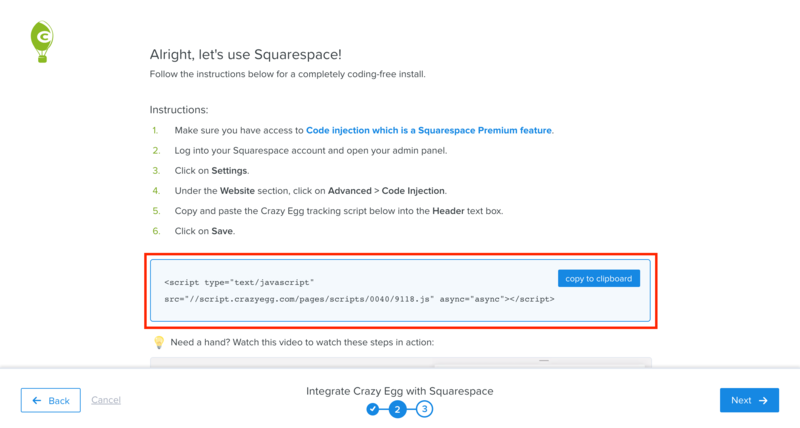 Before You Begin - Important Note: To install the Crazy Egg tracking script onto your Squarespace website, you need to have access to the Code Injection method, which is a Squarespace Premium feature. Log into your Squarespace account and open your admin panel. Go to Crazy Egg, copy the Crazy Egg tracking script that can be found here. Paste the tracking code into the Header text box. Wait a moment and you can start to use Crazy Egg. (Optional) You can also check to see if you've installed Crazy Egg correctly. "Tracking Script - All tests passed!" means that you have successfully installed Crazy Egg on your Squarespace website. What should I do next? 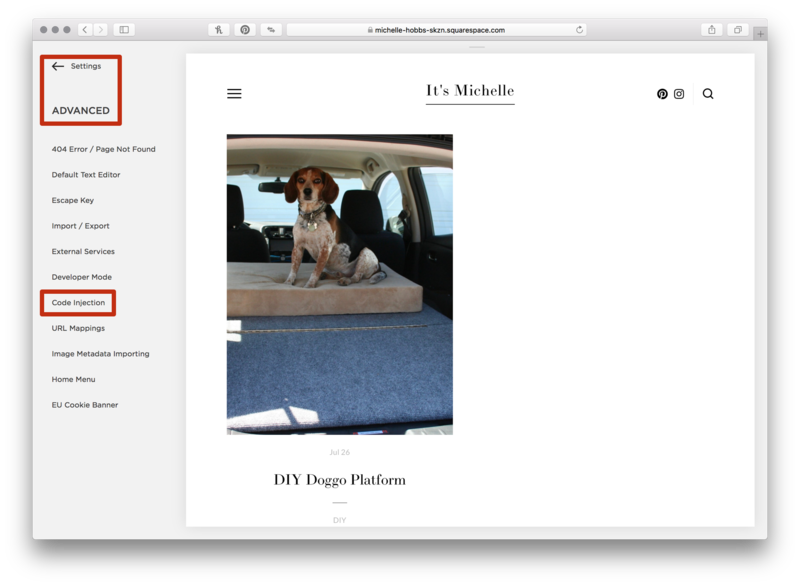 Start creating Snapshots so you can see what visitors are exploring on your website and what areas could use some improvement. Check out our Crazy Egg 101: 4 Steps to a High Converting Website guide for more inspiration.